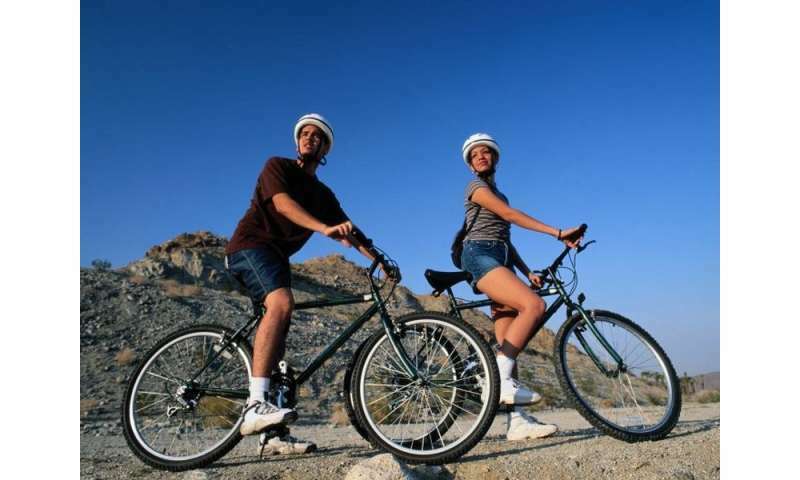 (HealthDay)—Bicycling outdoors can feel more like fun than the high-quality aerobic activity it is. And while you may be tempted to dust off your old two-wheeler, you might want to consider a new one. But don't forget the most important piece of equipment—a properly fitted helmet. Harvard Health also recommends staying hydrated and avoiding clips to keep your feet on the pedals, which may make injuries worse if you fall. If, on the other hand, you're biking for your commute, stay aware of your surroundings—even in areas with dedicated bike lanes. That means don't lose yourself in music. According to a University of California, San Francisco study, 65 percent of bike injuries happen on city streets. Steer clear of all trucks, and never ride on their right where you could be in the driver's blind spot. Also, avoid riding too close to parked cars—many cyclists have been unintentionally hit by drivers opening their car door.